Features kid- and parent-friendly tips and activities The fun and easy way to grasp the ABCs of reading Want to introduce your child to reading, or strengthen your child's reading skills? This fun and entertaining guide shows you how to use phonics as an easy and engaging path to reading. 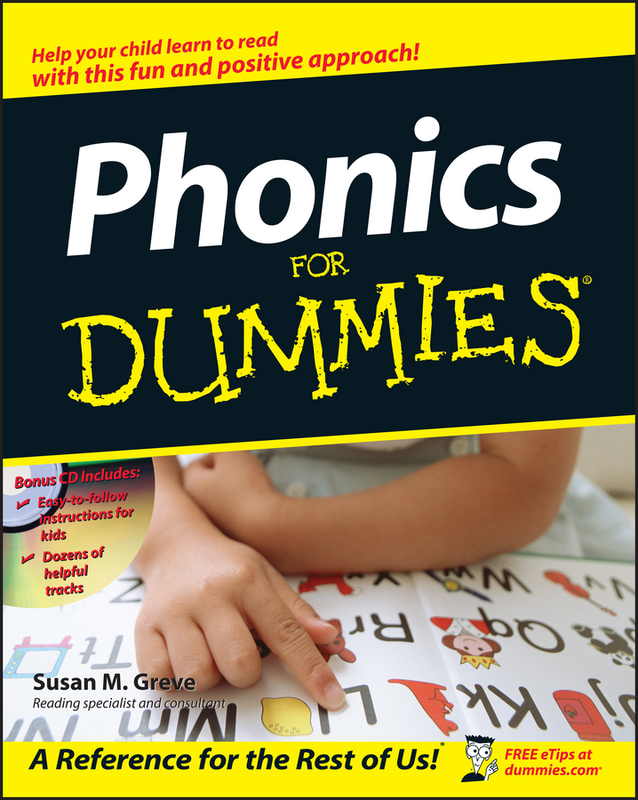 Phonics For Dummies contains tips on mastering letter sounds in reading, activities to engage your child's enthusiasm, and advice for making reading interesting and fun. Discover how to: Use phonics to learn to read Improve reading and spelling skills Master unusual sounds and spellings Build your child's vocabulary Play games that encourage progress All this on the audio CD: Dozens of letter sounds in friendly lessons Keywords to help your child with reading and spelling Easy examples and tips for your child to follow Note: CD-ROM/DVD and other supplementary materials are not included as part of eBook file.